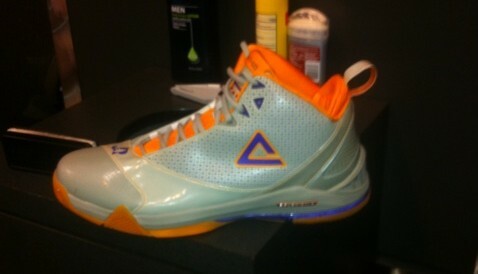 A brand new colorway of Jason Richardson's PEAK signature shoe for Phoenix's alternate uniforms. In 2010, we saw Chinese footwear brand PEAK add the high-flying Jason Richardson to their growing roster. With that deal came Richardson's first PEAK shoe, the JR1. We've already seen the JR1 is home and away colorways, and a third style was recently revealed by teammate Jared Dudley on Twitter. 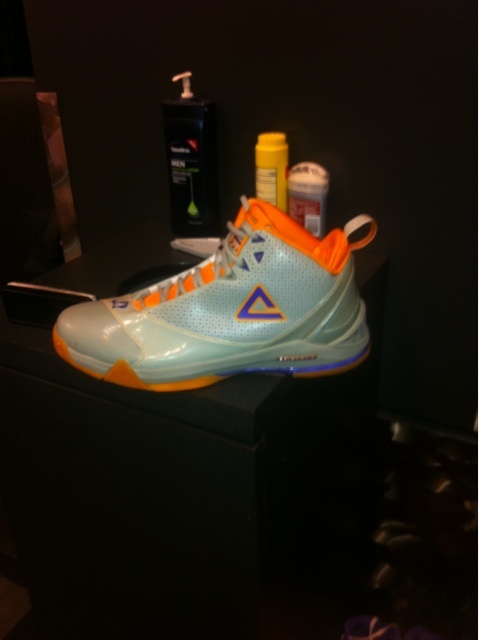 PEAK hooked Richardson up with a Player Exclusive version of his JR1 to match the Suns' alternate orange uniforms. Perforated white synthetic materials dominate the upper, with a vibrant orange color seen on the inner liner, tongue, heel-pull and outsole. The upper lace eyelets, branding, logos and Cushion 3 technology notation are all done in purple.